Hi everyone! 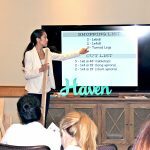 I’m back from the Haven Conference in Atlanta and it was one jam-packed weekend! I am absolutely exhausted, but in a good way. 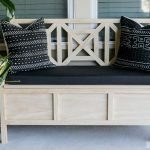 I taught a building class on behalf of Simpson Strong-Tie and we built this beautiful DIY outdoor storage ottoman / cocktail table featuring Strong-Tie’s brand new Outdoor Accents™ black powder-coated decorative hardware line! 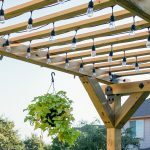 The new products went live on Home Depot’s website the day of my class. Man, those marketing folks are spot-on! Don’t you just love those ginormous bolts? But guess what – those aren’t bolts! They’re a combination of a structural screw and hex head washer! Genius. These new connectors and angles are powder-coated and suitable for exterior applications. Not only are they stunning, but they’re structural too! You can learn all about them on the Home Depot website. View the full Outdoor Accents collection here. 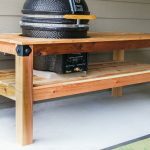 And for those of you just wanting the building plans for this DIY outdoor storage ottoman / cocktail table, find the link below. 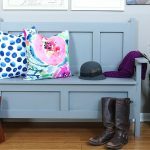 You can place a cushion on top and it becomes a bench. The lid comes off and you can store the cushion inside and use the ottoman as a cocktail table. I love when furniture has multiple applications. It’s like the Optimus Prime of outdoor furniture. I bought rough-cut cedar for this project and ripped, planed, and cut all the boards. 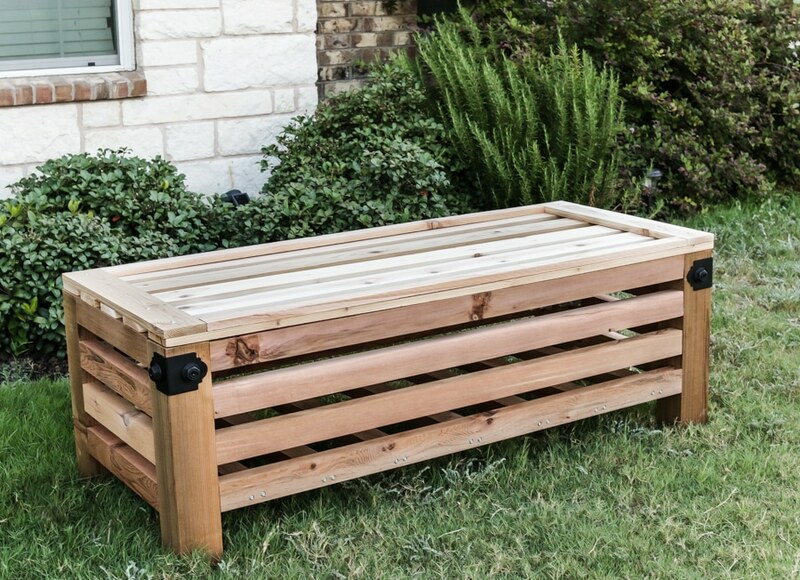 Cedar or redwood are both great wood species to use when building outdoor furniture because they’re naturally resistant to decay. I’d also recommend sealing the wood with a deck stain or other top coat that is made for exterior projects. Okay! 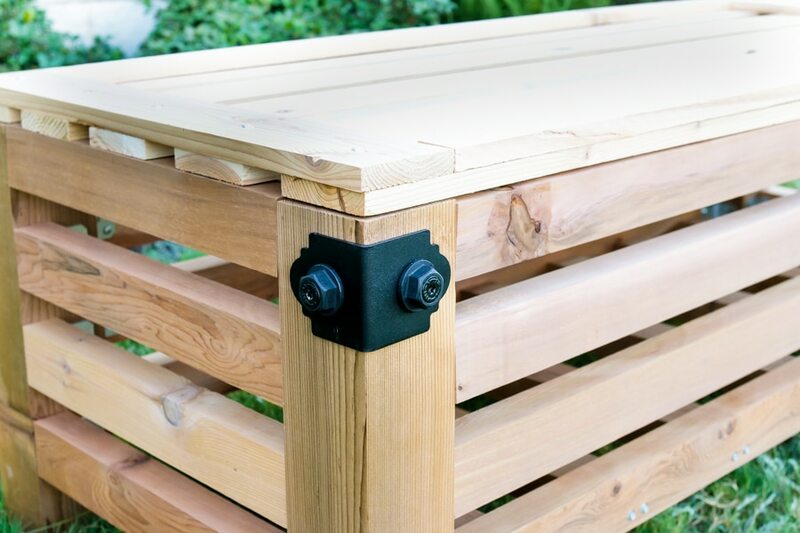 Are you ready to build your own DIY outdoor storage ottoman? Of course you are. 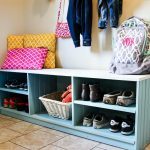 DOWNLOAD THE STORAGE OTTOMAN PLANS HERE. OMG, I love this Jen!! Love this ottoman!! It is so perfect! 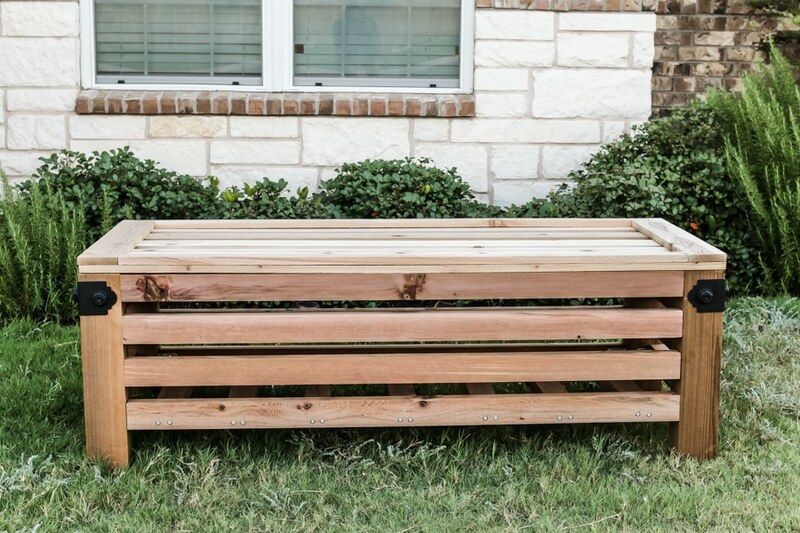 I think I need to add this to my list of to build for all the outdoor toys! The list keeps growing, Anika! Thanks so much! Hey Jen – I seriously love the way you plan and execute your projects. Giving away plans to many of your designs is also so amazing and thorough of you! 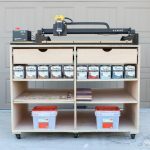 Where do you come up with your inspiration for your furniture building projects? The little details you add really make a huge impact! I watched one of your Periscope’s earlier this year and you had recommended a variety of vinyl prints with different backgrounds! This was huge game changer for most of my blogs photos. Thanks for the recommendation and keep doing what you are doing! I am loving all of it. 🙂 Rock on girl! Thanks so much for taking the time to stop and leave such a thoughtful comment, Meredith! It means a lot. Necessity is the mother of invention, isn’t it? Glad to hear you found my little video helpful! Thanks again for stopping by! This is great! I’m excited to get it finished in time for summer, and I love the rustic black accent pieces. Just a quick note – I found that 20 1/4 was not adequate for the length of the bottom slats. They need to be cut at 20 1/2. Thanks for the inspiration and plans. I haven’t finished the build yet, but I love how it’s going so far! I tried to upload pics to show you the slat issue, but wasn’t able to. Let me know if I can send them to you. 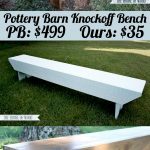 Have to make some of these for our new patio! Gotta browse the rest of your site for some other weekend projects!